I'm off on a stag do later today, so I thought I'd jam some music to get me in the mood for the copious amount of drinking that will no doubt take place. I decided that a fitting place to start this morning was with Tennessee rocks Laser Flames on The Great Big News and their debit four-track EP Lambs, which was released last summer by Handshake Inc. Laser Flames... play Southern rock with a heavy side, influenced by a wide variety of bands from Lynyrd Skynyrd to Metallica to Deathspell Omega! I approach this EP, not really knowing what to expect. As Monster Truth rings out, the first thing you feel is the semi-sludge riffs and then the vocal melodies hit you. They almost remind me a bit of the harmonies that Fleetwood Mac would weave. This is pretty laid back for an opener, the viola and the easy instrumentation makes it a great listen, then when the guitar solo's come in, they add to the sound. This is the sound of slowly cruising down route 66! Dead River has a slightly harder-hitting intro but there's still that undeniable Southern rock vibe going on. It's really groovy and melodic. I don't really want to try and compare to any modern day metal/rock bands because I think it's really unique. The Sword has though endorsed them, so I guess that could be a reference point for those of you who only like bands based on the "For Fans of" recommendations! Faith of The Blackened Heart is a complete u-turn for Laser Flames. It's an amalgamation of occult chants, black-metal vocals and Southern sludge. The time signatures are also hard to pin down at times, just like they used to be when Mastodon first came into your consciousness with Remission. After the initial duo of tracks, this is a surprise and may put some people off, but it just shows the length and breath of Laser Flames experimentation and influences. They slip back into grooving territory with Not Living. It's all riffs and deep, bellowing vocal melodies. With so much going on across these four songs, you'd expect it to be quite hard to listen too but it's not. The production allows all the instruments and voices enough space to breath and it sounds really warm, especially when the viola comes to the fore. 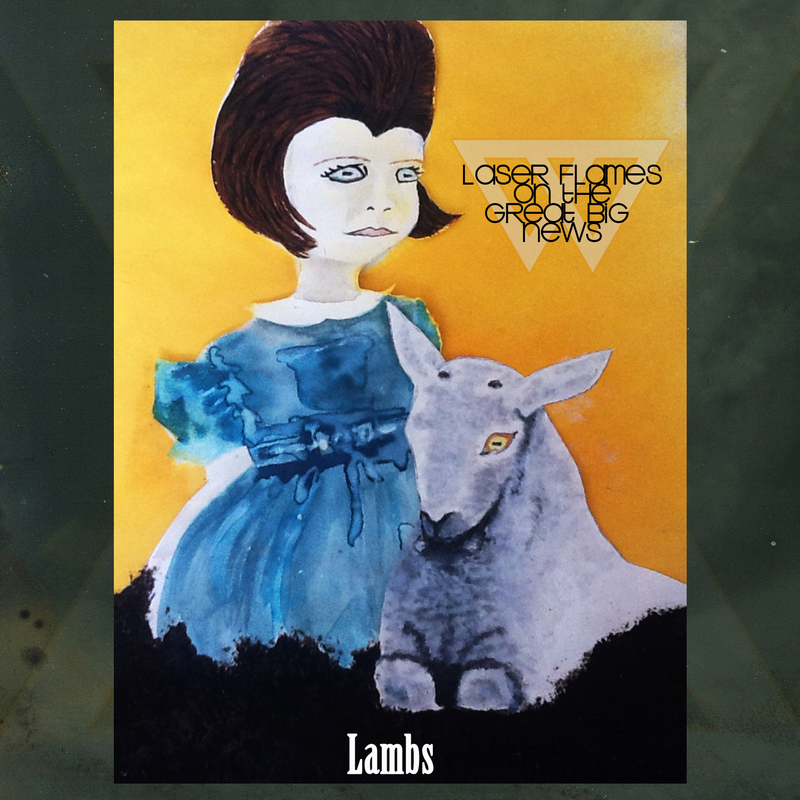 If you're looking to listen to something a little out the ordinary and varied, then Laser Flames are definitely worth tracking down. This EP is immense on so many levels and even if it leaves you confused by it's mix of genres, it'll leave you smiling. It's also available from the above link as a pay-what-you-want download.